Car locks have tight seals and water can hardly reach inside to melt the ice, so the hot water rarely works. Depending on how cold it is outside, it could make the ice worse. Forcing the key into the lock is another bad option. It can result in a broken key or a broken lock. Check all the door locks of your car and identify the one that is least frozen. Most likely it is the one that has been in the sunlight. In wintertime it is best if you avoid parking your car in the shade. Morning sunlight can help with opening door locks, even if they are frozen. Press your thumb against the door lock. Keep it there for a few minutes. The skin’s warmth might heat the lock just enough so that you can open it. Try to open the lock, but do not force the key if things are still frozen. Use a hairdryer or your hand to warm the key. Insert the heated key into the frozen car lock. Try to open it without forcing. The ice might not melt with just one attempt. This may take a few times of heating the key to make it work. Pour some hand sanitizer on the key and using the key as the delivery device, try to insert as much hand sanitizer into the lock as possible. Hand sanitizers contain alcohol, which lowers the melting point of ice. A commercial de-icer may be used to melt the ice. During the cold season, you should keep de-icers in your home and winter jackets, so that you have these on hand at all times. DO NOT LEAVE IT IN YOUR CAR! Pull the door handle firmly to see if it opens. 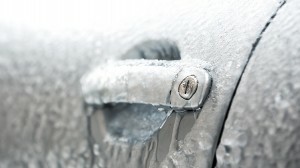 If the car door is frozen as well, don’t force it open and avoid using tools, at the risk of scratching your car. Firmly push against the door’s margins with the palms of your hands, until the ice around the door cracks. Remove the ice around the door and open it. Before the winter time comes, spray WD-40 into the locks to remove any water that is in there. Locks usually freeze after a vehicle has been washed. Due to the road salt, washing your vehicle is recommended to prevent rusting. 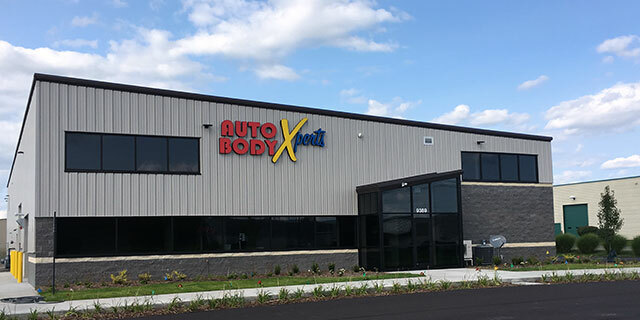 Have your vehicle hand washed in the winter so water is not sprayed into the locks at a high pressure (this would happen at a drive-thru car wash). After the vehicle is washed, spray the locks with WD-40 to insure the locks won’t freeze.